A construction loan is the way for you to build a home while delaying the payment of the cost of construction until it can be put into a permanent mortgage. Obtaining a construction loan can be a difficult process. You must have a "story," a description of the construction process and the qualifications of the general contractor or specialized contractors (if you intend to do construction work yourself). You must also have financial qualifications for the loan. The two most important are a good credit rating and ownership of the land on which your home will be built. Put on paper the design of the house to be built. This is usually done by preparing or having prepared a set of drawings for your building project. The drawings will help you communicate to the loan company what is to be built and what materials, finishes and appliances are to be used. They will also be used to obtain cost estimates from material suppliers and contractors. You will also need plans showing that the proposed house will meet the applicable codes when you go to your local government to pull building permits. Determine the cost elements of the project. These will include such items as an unpaid balance on the land, government fees, utility installation costs, site preparation, work to be done (and what is required to be done) by licensed contractors, materials, finishes, appliances and a reserve for unplanned expenses. Obtain from the general contractor or any other contractors from whom you have cost estimates an agreement to provide a resume, fill out any application and sign any contract required by the loan originator. The agreement and cost estimate should be valid for six months. The credit rating and track record of the contractor(s) will be checked by the lender. This is a good protection for you as well as the lender. Obtain loan applications from one or more companies specializing in construction loans. 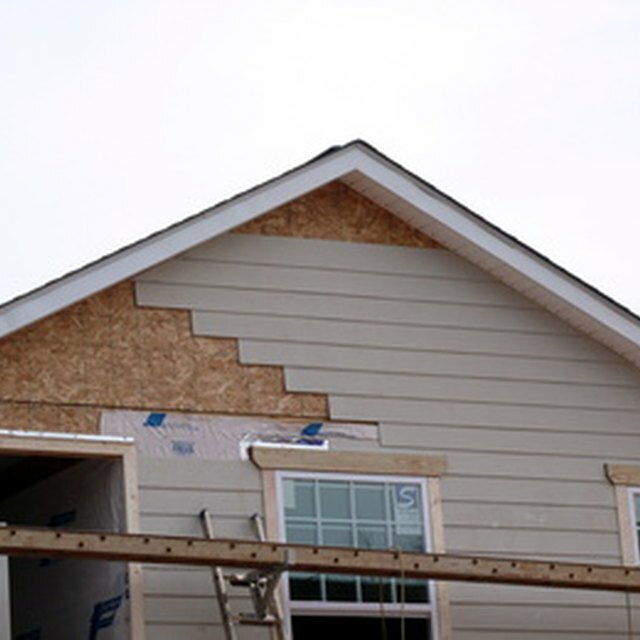 Since home construction loans are not like mortgages on existing houses, it is better to seek out a loan company that specializes in construction loans. These lenders are available in all parts of the country. Put in as much work as necessary in completing the loan application. Filling out an application, however, is only the beginning of what can be a wearisome process as you will likely be questioned about one or more aspects of your project. The better your planning the easier these questions will be to answer. Patience will be necessary in getting a construction loan, but it is necessary if you are to pay later rather than as you go. Learn about the conditions of the loan before accepting it. Construction loans typically require payments of only interest on funds disbursed while the house is being built. Repayment of the loan principal will be required when the house is completed (has a certificate of occupancy). If the construction loan has a variable interest rate, your payments may vary during the life of the loan. Proceeds of the loan will likely be disbursed to you based on a schedule agreed to by you, the lender and contractor as stages of construction are completed. Plan for repayment of the construction loan and permanent financing of your house. One way to accomplish this is to get into a construction-to-permanent financing program at the beginning. This allows the construction loan to be changed over to a mortgage loan when construction is complete. This assures you pay-later financing for the house and allows you to avoid application for a permanent mortgage and paying a second set of closing costs. Do not expect the land purchase to be part of the construction loan. Do not expect construction loan interest rates to be the same as rates on permanent mortgages. Be sure the construction loan will cover all the costs of building the house. You do not want to be caught in the position of having an unfinished house and a used-up construction loan. Walt Sampson has written technical manuals and corporate proposals since 1970. He has written for "The Denver Post" and "The Arizona Republic." Energy-conservation awards led to writing for professional magazines. Sampson has engineering degrees from the Naval Academy and the University of Michigan, and a Master of Christian Studies from Regent College. What Is an Appropriate Pay Schedule for Construction Contractors? What Should Be in a Paving Contract?